The Devon Rex is a shorthaired breed of cat that was first bred in England in the 1960s. It is known for its slender body, wavy coat and large ears as well as being very intelligent and able to learn tricks. The Devon Rex has a short and curly coat that is very similar to that of the Cornish Rex and is commonly said to be one of the best breeds for people who suffer with allergies. The first of the breed was found by Beryl Cox in Buckfastleigh in Devon in 1960 amongst a litter of kittens found near a disused mine. 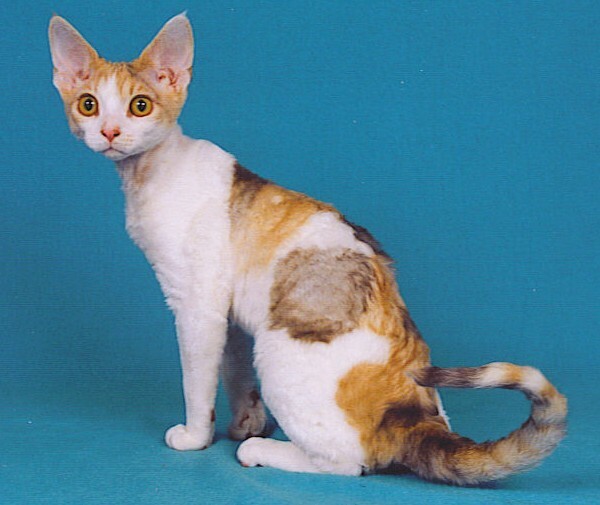 They were thought at first to be related to the Cornish Rex but later tests have shown this to not be the case. Most breeds of cat have three types of hair on their coat; guard hair, awn hair and down hair. The Devon Rex is unusual because these cats have very little guard hair on their coats. This is caused by a different genetic mutation to those of the Cornish or German Rex and crosses with these species result in cats without this fur trait. Devons are a medium-sized cats that are often called pixie cats or even alien cats because of their unusual appearance. They have larger than normal ears that are slightly rounded and set low on the sides of their heads, which themselves are quite wide. They have large eyes and a slightly upturned nose as well as having very short whiskers that often curl to the degree that they appear to have disappeared. Their body shape is light and they have sturdy, long legs that make long leaps an easy proposition. People who have lived with Devon Rexes have described they are active, playful and mischievous, including one reference to them as being a cross between a cat and dog and a monkey. They love to jump up high and squeeze into spaces so can be expected to turn up in closets, top shelves or even the laundry basket. They will often seek the highest spot in the room and make it their place. These are also very human-orientated cats who need to have one central person in their lives to lavish their attention on. They love to play and will give a playful nip as well as enjoying lying with people and having a stroke or a rub. From the Devon Rex kitten you can expect to find an enjoyment of being close to you, even snuggled on your shoulder and they will often follow you from room to room, enjoying be part of what you are doing whether you want them to or not. These cats will be a faithful companion and friend to their owner for their entire life. Their intelligence is also well documented. They can be taught tricks such as fetch or jump, will learn to walk on a leash or simply walk alongside their owner. In fact, they will learn many tricks that are more associated with dogs! 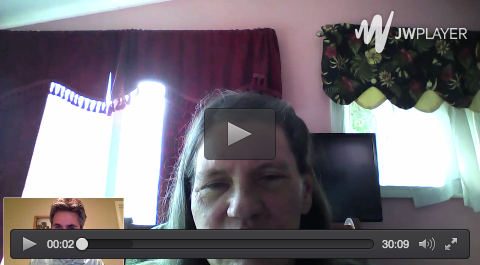 Previous post: What is a Polydactyl Cat?